Chicago: American Library Association, 2010. 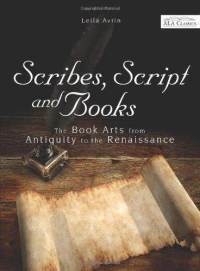 Leila Avrin gives an extensive and informative exploration into book arts in her book Scribes, Scripts, and Books: The Book Arts from Antiquity to the Renaissance. Her experience as a faculty member at the School of Library and Archive Studies at the University of Jerusalem and her academic credentials (an MLS and a doctorate in Art History) add to the content between the covers of this book. Much of the book is devoted to the history of book arts from the ancient world to modern times. There are chapters devoted to writing and the alphabet of different cultures, manuscript illumination, Greek and Roman books, and more. Avrin discusses materials used by people in each era to create their tomes, the sociopolitical climates of the regions and how this affected the book arts, and numerous other aspects of this interesting topic. She briefly touches on papermaking and bookbinding, which continue despite the emergence of the ebook. The plates published within the book would benefit from color reproductions, as illuminated manuscripts are very vibrant in color. One chapter in particular that would be enriched by color plates is the chapter on the Islamic book with its intricate images and writings. Scribes, Script, and Books would be a fantastic addition to any library or private collection with an interest in the book arts. Lizzy is currently working on her MLIS with the University of North Texas SWIM cohort and works as a Library Assistant 2 at the Boise State Albertsons Library. When Idaho teacher Cynthia Compton looked for a classroom resource on Lewis and Clark’s expedition to find the Northwest Passage, she couldn’t find exactly what she wanted. so she decided to write one herself. The result of this resourceful teacher’s work is her book Run the River with Lewis and Clark. Compton’s book is a chronological account of Lewis and Clark’s expedition from Missouri to the Pacific Ocean, starting with an explanation of the political climate surrounding the trip and a brief discussion of the Louisiana Purchase. The discussion of the journey itself focuses mostly on the company’s interactions with Indians and wild animals, but Compton gives enough details so that the reader gets a well-rounded picture of what Lewis, Clark, and their crew experienced on their journey. The main source material Compton used for the book was The Journals of the Lewis and Clark Expedition (Gary E. Moulton, ed., Lincoln: University of Nebraska Press. 1998), and Compton includes numerous excerpts from the explorers’ journals. She also includes snippets from letters written by other members of the expedition, including John Ordway, as well as quotes from Thomas Jefferson. Included maps and Jeff Nobel’s black and white illustrations add visual interest to the text, and a bibliography gives interested readers the opportunity to learn more. Compton states that her intended audience for Run the Rivers with Lewis and Clark includes students, families, and classroom teachers. Compton’s straightforward writing style and pages with plenty of white space make the book accessible to students. One of the book’s strengths is the inclusion of little details that students will find fascinating. For example, the author discusses what supplies were needed to start the expedition, explains that they could at first travel only about 10 miles a day, and mentions how they celebrated Christmas in 1804 by simply shooting off some of their firearms. Compton also begins each chapter with a paragraph directed at the reader, asking them to imagine themselves as part of the expedition and think about how they would handle certain situations. These asides would be perfect discussion-starters for a classroom. Compton is also developing a teacher’s manual for the book that will be available to order on the book’s website, www.runtherivers.com. 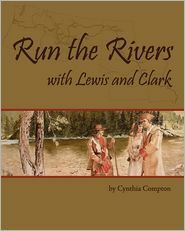 Run the Rivers with Lewis and Clark is a solid choice for all school and public libraries. It would be especially helpful for 4th grade teachers and students as they study Idaho history. Erica Littlefield is a Youth Services Department Head at Twin Falls Public Library. A native Idahoan, Erica is currently pursuing her MLIS degree online as part of the SWIM Cohort through the University of North Texas. While on its face this is obvious – who else would have the power and means to write the story of a culture or civilization but those who became dominant? – the deeper meaning of this oft-used axiom is that the history written will often glorify the victors while glossing over the means by which that victory was won, and the sometimes unsavory means by which the vanquished were conquered. 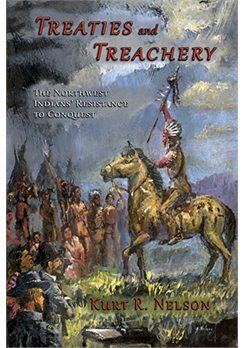 In Treaties and Treachery: The Northwest Indians’ Resistance to Conquest, author Kurt R. Nelson attempts to write the history of the vanquished, thus providing balance to a story often overlooked. In doing so, he successfully makes what happened to the Indians even more compelling, and adds to the weighty pathos that is this history of Indian-white relations. Nelson sets out to prove two fundamental arguments: first, that depravity and atrocities were committed on both sides; and second, that the history of this conflict, which was particularly hot in the Oregon Territory between 1853-1859 for various reasons he explains, continues to influence and shape events even today. The first premise is amply proven through detailed accounts of the many battles in the various theaters of war during this period, the interactions between the two clashing cultures, and the various, and often conflicting, motivations and agendas of the people, personalities, and politics involved. The starkest example of this, Nelson relates, is the difference in philosophy between the territorial leaders and militias and their federal counterparts, particularly the leaders of the regular U.S. Army. The former group favored annihilation of the various Indian tribes, while the latter on the whole were more sympathetic towards their opponents and attempted to deal with them fairly through negotiation and enforcement of the treaties, something the territorial officials never intended to do. As a result, Indian aggression and atrocities stemmed more from extreme frustration and too much experience with a long trail of broken promises and mixed messages. Nelson’s second hypothesis, that the history of this volatile period of time continues to influence the region today, suffers from a lack of attention and detail compared to the first premise. While stressed in the book’s introduction, the question of how the past influences the present is never answered. Only in the book’s final few pages is this issue even mentioned again, and then it is left as a question to be answered by the reader, with no evidence or data with which to answer it. In contrast, Brian Schofield, in his book Selling Your Father’s Bones: America’s 140-Year War Against the Nez Perce Tribe (New York: Simon & Schuster, 2009; reviewed in vol. 59, no. 2 of The Idaho Librarian) offers a complete, compelling, and transcendent argument that the history created in the 19th century between whites and Indians is very much alive and inseparable from life in the Pacific Northwest today. Aside from editorial mistakes and inconsistencies, and problems with the writer’s style and organization, this book successfully tells a story that is necessary and long overdue. It is not a smooth read, but would fit well in any academic library or public library with a focus on the history of the Pacific Northwest. It definitely offers keen insight into the intractable problem of Indian-white relations during a very pivotal time in American history. Christopher N. Fox is Catalog Librarian at BYU-Idaho McKay Library. He also enjoys his duties as a subject selector for U.S. History and popular fiction. Idaho’s own Anthony Doerr is widely recognized for being a distinctive author of literary fiction. His newest book, a collection of short stories entitled Memory Wall, exceeds expectations by carrying the reader into terrifically imagined stories. Each short story showcases a powerfully vivid yet cerebral plot, evocative of experiences common in this modern era. The stories address issues of our contemporary global society such as aging, memory, complex family structures, and infertility. Doerr draws conclusions in each story that are uncanny and unpredictable, leaving the reader to progress through each as quickly as possible to find out what will happen. 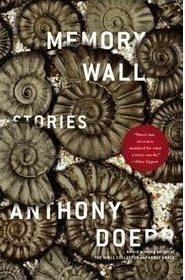 In the title story, “Memory Wall,” Doerr takes us to Cape Town, South Africa, in the year 2024. The main character’s memories have been recorded onto a sort of cartridge machine that allows her play them over and over again, losing herself in her own past. Her memory is so poor that she needs a wall of reminders to keep her up-to-date on her current situation. The tour that the reader takes to the ending of this story is enthralling. Doerr asks readers to consider this throughout the book, as each story’s characters seem to live within their own heads crafting their own interesting realities. This fantastic theme is reminiscent of a plethora of David Lynch television series and movies, such as Twin Peaks, Mulholland Drive, and Inland Empire, in which the main characters are all living within a reality of their own creation. Memory Wall consists of a series of stories which transport us from our everyday lives into stories that help us understand our own experiences. This deep, wonderful, and transformative book is highly recommended for all libraries. Mature audiences will enjoy this book, as will all fans of intelligent, literary fiction. Amy Vecchione is a Reference and Instruction Librarian at Boise State University’s Albertsons Library. Priscilla Wegars, Ph.D., an historian and historical archeologist, details the two-year history of an internment camp near Kooskia, Idaho, in the 1940s. Before World War II, the camp was designed to house those involved in building the Lewis-Clark Highway (U.S. Highway 12) connecting Washington, Idaho, and Montana. In the book’s introduction, Wegars explains the difference between this camp and another World War II camp outside of Minidoka, Idaho. The Minidoka camp in southern Idaho was handled by the War Relocation Authority as one of ten “concentration camps” (later called “incarceration camps”) created to hold Japanese-American citizens. The Kooskia camp, in contrast, was an Immigration and Naturalization Service/Department of Justice site designed to hold “aliens” identified by the Federal Bureau of Investigation as potentially dangerous to national security due to our state of war with Japan, Germany, and Italy. These aliens, for the most part, were first-generation immigrants to the United States. As a “prisoner of war” camp, the Kooskia camp internees were accorded rights and privileges designated by the Geneva Convention. They could work for wages and had better living quarters, food, and medical attention than those in incarceration camps. In many instances, the Kooskia internees were first-generation Japanese immigrants who were relatives of second-generation Japanese-American families interned at the incarceration camps, including the one in Minidoka. The title of the book, suggested by a line in one of the internee’s letters to a relative, illustrates the irony of the camp’s beautiful mountain location. Until reading this book, I was not aware of a World War II-era camp in northern Idaho, nor did I know about the different levels of camps that were created to handle those considered enemies of the United States during World War II. 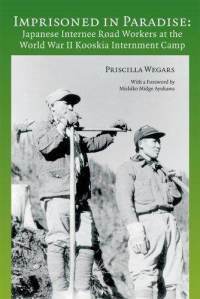 Imprisoned in Paradise describes the progression of the Kooskia camp from a Civilian Conservation Camp (CCC) to a satellite work camp for federal prisoners, and then to a camp for detainees seen as POWs during the war. The Bureau of Prisons needed to close some of its work camps due to lack of appropriations and, coincidentally, the government was looking for places to house “enemy aliens” identified throughout the United States by the FBI. To my surprise, I learned that some of the “enemy aliens” even came from Mexico, Panama, and Peru due to U.S. treaties with other countries! Latin American Japanese internees were removed from the countries to which they had relocated years before World War II and brought to the United States,where they did not even know the language. Imprisoned in Paradise documents an unpleasant period of wartime America. Pictures and footnotes illustrate extraordinary research into government documents, newspaper articles, letters, diaries and detective work to seek out stories of specific men held in the camp. The author interviewed families of the internees as well as those of the Americans in charge of the camp, including directors, guards, and other employees from local Kooskia families. This is an enlightening study of the Kooskia internment camp, and I appreciate the effort involved in bringing a little-known piece of Idaho history to light. It is a must-read that provides further understanding of what can occur, especially during a period of national emergency, when those from seemingly different cultures are targeted as threats to a society. This book would be useful to anyone interested in studying Idaho or American history during World War II, or for those interested in Asian-American history. It could be used for high school and higher education courses. Alison Perry is the librarian at the law firm Hawley, Troxell, Ennis & Hawley, LLP, in Boise.